Budget hotels are dear for people who love spending weekends somewhere near their dwellings. Staycations are best during rainy season when the entire city is drenched from monsoon rains. But having it on a summer weather is also a great idea. One of the considerations in picking a hotel for staycation is the rate per night. If your budget is not constrained, then luxury hotels are great as your money will reward you with top-notch facilities and amenities. However, limited budget will encourage you to consider cheaper and no-frills accommodations. Expansive lobby of Red Planet Hotel Cebu. 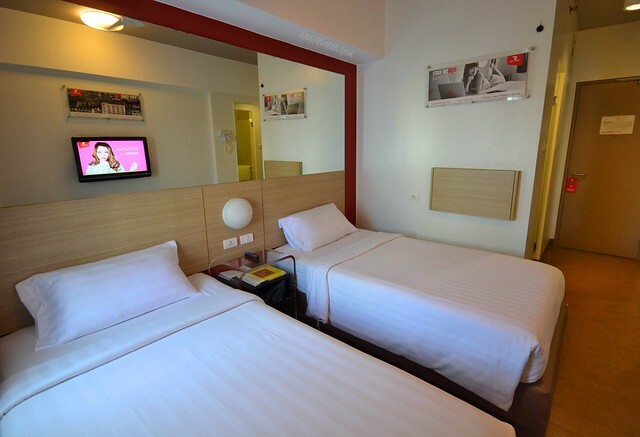 When in Cebu City, one of the alternatives for a rewarding staycation without a huge pain on your pocket is Red Planet Hotel Cebu. 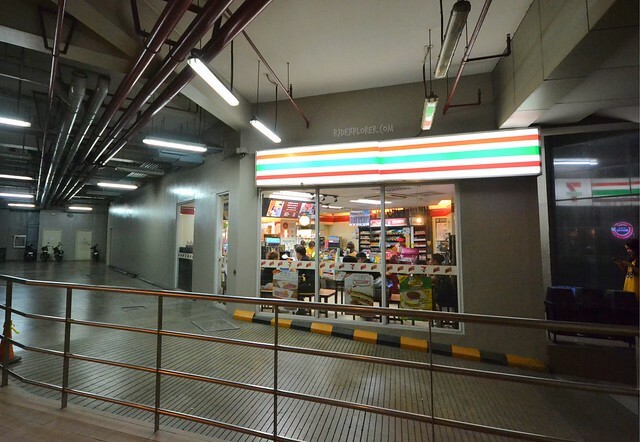 The property is at the center of the city and just across Ayala Center Cebu. With its location, shopping and dining won’t take much of your time for you to relish the comforts the hotel provides. For your information, Red Planet Hotel Cebu is previously Tune Hotels Cebu. Standard check-in time is 2:00PM while check-out is at 12:00NN. I arrived few minutes before two at the sprawling lobby on the second floor of the hotel. Red and black dominate the fixtures on the lobby. Welcoming hotel staff greet you with all their smiles and also responsive for every request they’re capable of providing. If you have some questions in terms of destinations and attractions, don’t hesitate to drop by the front-desk. 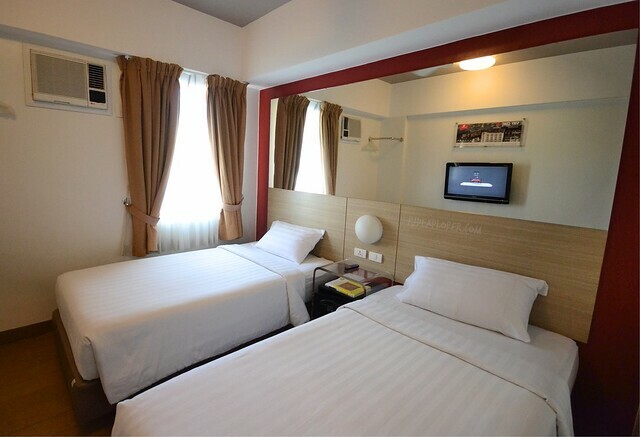 Red Planet Hotel Cebu’s double room. While waiting for my room, I stayed in their lounge and noticed two Mac desktop computers for complimentary use of their guests. The hotel also provides printing services for only Php5 per page on black and white. On one of the walls is a shelf containing travel guide books, board games, city maps for sale, free newspaper, guests’ testimonials on colorful sticky notes, and Red Planet Hotel Cebu souvenirs including Freddy the Red Panda stuffed toys. 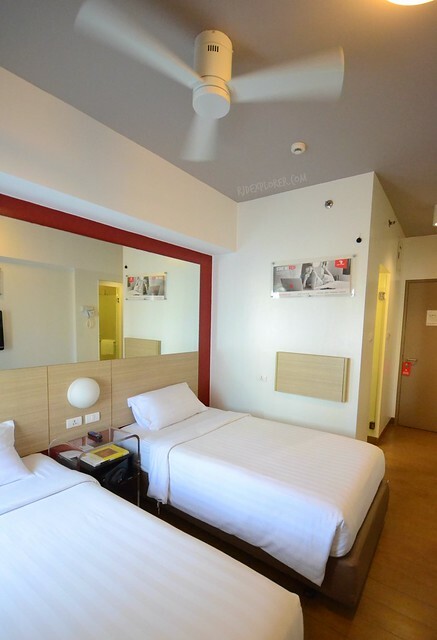 Red Planet Hotel Cebu has a total of 150 rooms spread over double and twin rooms. All rooms can accommodate up to 2 adults and 2 children, without additional charge. Since the hotel offers no-frill rates, breakfast is not included on the Php2,100 double-room and Php2,200 twin-room rates. But during our stay, I heard that they’ve partnered with a nearby hotel for a buffet breakfast. Just ask them before booking a reservation if you’re interested in availing such add-ons. In-room amenities, apart from the custom beds with quality linens, include a foldable workstation, air-conditioning unit and ceiling fan, safe, hairdryer, and a 32-flat screen television. The beds are super comfortable that going out of the room just to buy some stuff is a real challenge. Add to that the soft linens and a fluffy pillow. If I could ask for more, I wish they provide another pillow because each bed only has one. Fortunately, we bought some bags of chips, bread, and bottles of mineral water and soda before checking in. That weekend was the Game 2 of the Final Games on UAAP Volleyball Men’s and Women’s division. And the facilities available at Red Planet Hotel Cebu were indeed perfect for such a fun weekend activity. During the intense games, I also monitored people on social media cheering for their teams, thanks to their free WiFi connection. I also liked the idea of installing a ceiling fan to properly regulate the temperature inside the room. 7-eleven store located on the ground level of the hotel. 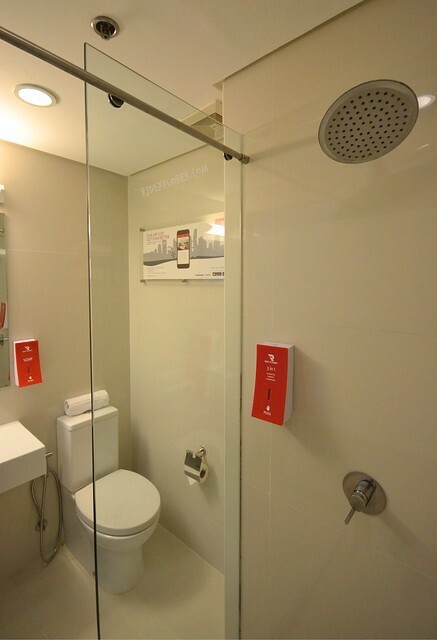 For the toilet and bath, I was giddied when I found out about the overhead rain shower spouts. Shampoo, conditioner, and shower gel are available on a 3-in-1 dispenser inside the shower. A separate dispenser gives out soap for hand-washing. Fresh bath and hand towels complete the basic amenities of the T&B. Oops, don’t forget the bidet. 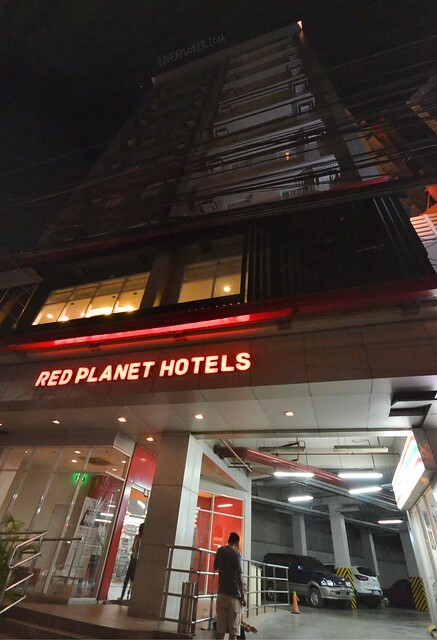 Red Planet Hotel Cebu located in the heart of Cebu City. With summer heat busy devouring everyone hitting the beach, I find the weekend stay at Red Planet Hotel Cebu a better way to shake off the fiery weather. The hotel chain has an app that you can use for stuff needed before, during, and after your stay. What’s exciting on the hotel app are the discounts and perks they offer if you are a REMEMBERED. It is a loyalty program for benefits that include discounts like a 10% off on online rates and 25% off on your birthday. 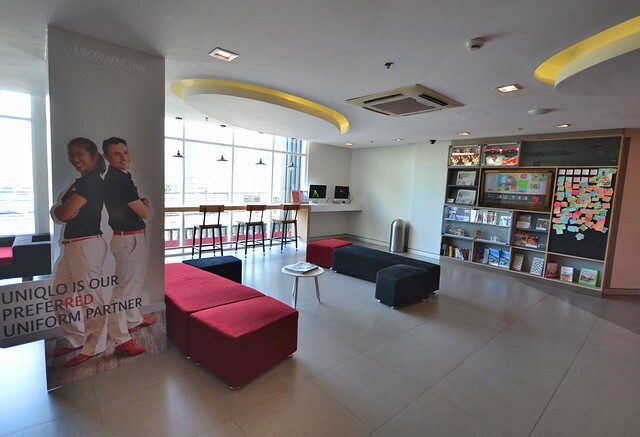 Another feature is the in-stay mode that makes every stay at Red Planet Hotel Cebu smooth and easy with real-time chat with the front-desk, recommendation of local attractions, and a lot more. Disclosure: Thanks to Red Planet Hotel Cebu for accommodating us on our stay. All opinions stated on this post are my own.